6SpeedOnline - Porsche Forum and Luxury Car Resource - Anyone do a tune on a V8 Vantage? Anyone do a tune on a V8 Vantage? I have a 4.3L and see Redpants has a tune. Wondering if 30hp will change power enough to feel it. I really like driving the Vantage, but it is very very slow compared to my other cars which are 600+hp supercharged V8s. The price per HP seems too high for me. I don’t keep cars that long and won’t get out any of that modification money. The ECU gets the car to 400-410 for $1400 - and it’s another $5-7k for another 20-30hp. A tune and 200 cel cats and it will feel like a different car. I was pretty picky about that fact too but went for it at a discount on Black Friday anyway. Now that it's installed and I've experienced driving it after the tune, I love it and feel it was totally worth the money! It totally transformed the responsiveness of the engine and this is the way it should have come from the factory. Even though its light so to speak it only has 380hp. So it wont be as fast or feel as powerful as a 600hp car. My DB9 and my Range Rover Sport (610hp) feel totally different, but the tune woke my DB9 up for sure. The tune greatly increased my throttle responsiveness and was noticeable immediately even when pulling out of the driveway. Like Mercedes 6.3 AMG motors, unless you have turbos or superchargers getting HP out of the motors is really expensive. 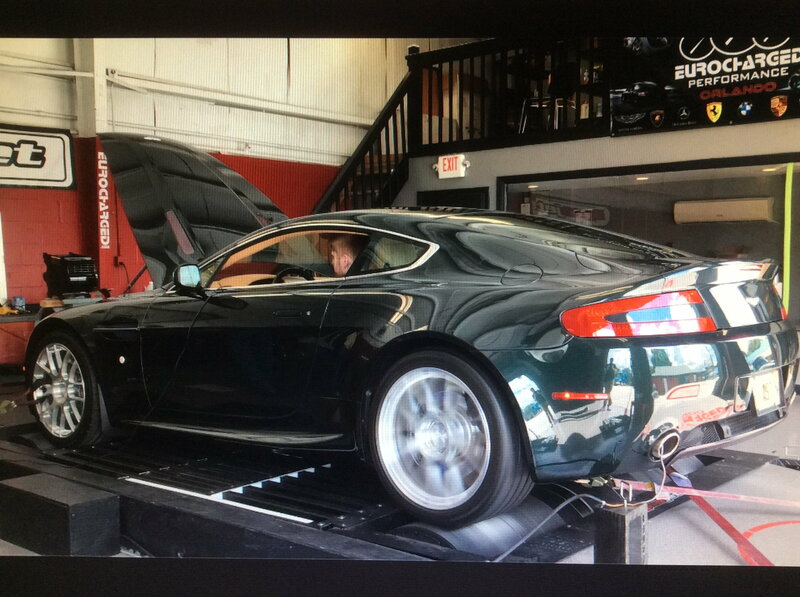 Tune on my DB9 got maybe 35hp. Tune on my RRS got me 100HP. Example..... a 6.3 AMG motor with tune and all exhaust mods will run you about 15k and get you only 80hp or so. The new AMG, I think 5.5 turbos or 4.5 turboed motors start you at 550hp and a simple tune will take it to around 700hp. A naturally aspirated car just cannot compete with HP gains of a forced induction tune. The 200 cell cats and the tune will wake the car up, and make it very much enjoyable vehicle to drive. Not going to beat a 911 turbo, but will hang with most other cars just fine. Small investment for a enjoyable time. Why mod any of your cars if you only keep them a short time. Doesn't seem economical. But if you do mod them a bit, and then sell them after a bit, whats 2k in enjoyable mods to have fun? I did the VelocityAP tune on my 4.3 and as others have said it does wake up the motor. Throttle response is vastly improved and it definitely pulls harder to redline. I plan on keeping mine for a while so the modest investment is totally worth it. I have the tune and 200 cell cats. Huge improvement over stock! For me, it was worth the money as it is much more enjoyable to drive. 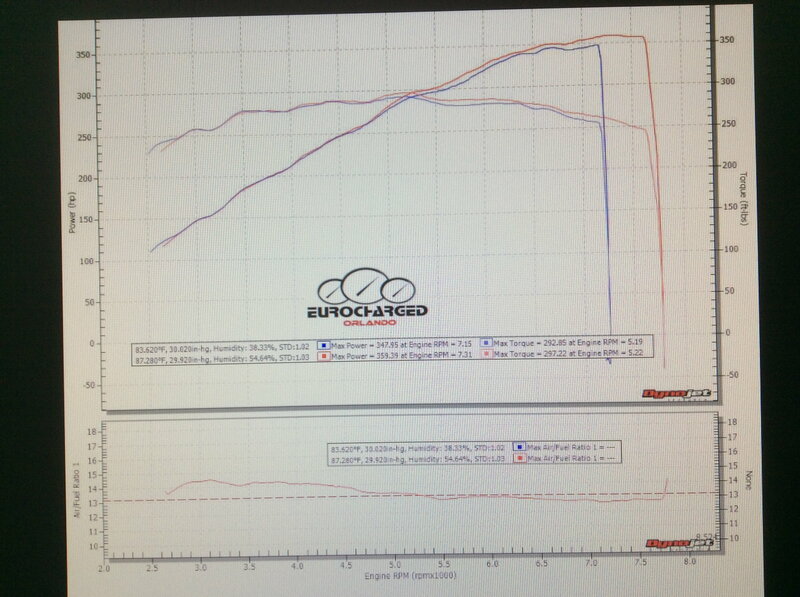 These results are on my 2008 4.3 V8Vantage with the factory power pack, a tune, 200 cel cats, an x pipe, Quicksilver sport muffler, and Redpants dry high flow air filters. Definitely worth every penny. It made it so much more alive. Thanks for the replies. I guess I know what I want for Hanukkah. Dropped in VAP 200 cell cats, exhaust manifold, Redpants Dry Hi-Flow air filters and ECU remap. Oh yea, how could I forget, dual plate clutch kit, which included the single piece lightweight flywheel. I'll put it like this, there are few cars out here that will simply run away from my car. This was some of the best money spent on this car. Tuning makes these cars much more enjoyable by adjusting the character of the engine, but tuning is never going to make the car feel fast compared to a lighter car with 600 horsepower. There are so many dimensions to this car, it's a mistake to concentrate on acceleration.